Cayetano Martínez de Irujo – CASA DE ALBA (right) and Mariano de Luna – MX2 GLOBAL (left) during ‘SALON GOURMET MADRID’ in April 2016. A mutually beneficial commercial partnership was signed today between CASA DE ALBA and MX2 GLOBAL. 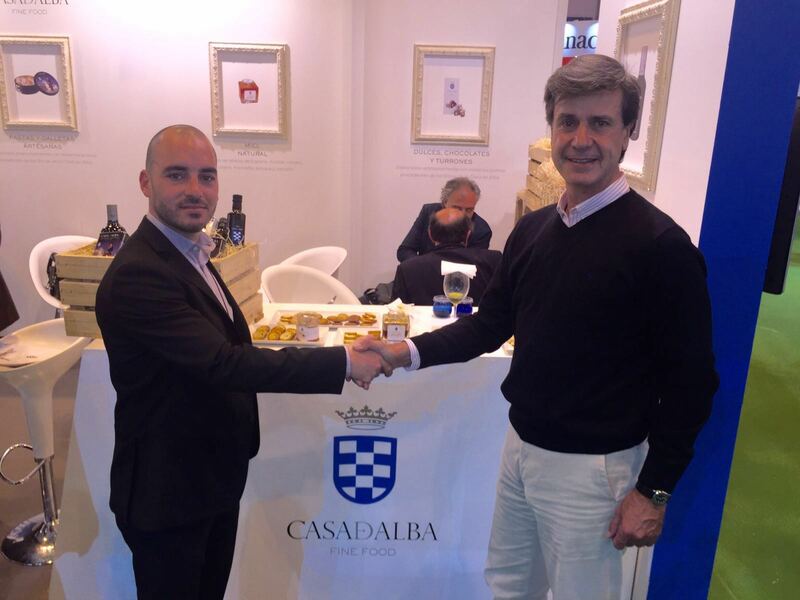 With this agreement, MX2 GLOBAL becomes a mandated global exporter of CASA DE ALBA fine foods brand. The partnership started during the 30th Edition of the ‘SALON GOURMET’ celebrated in Madrid, on April 2016.